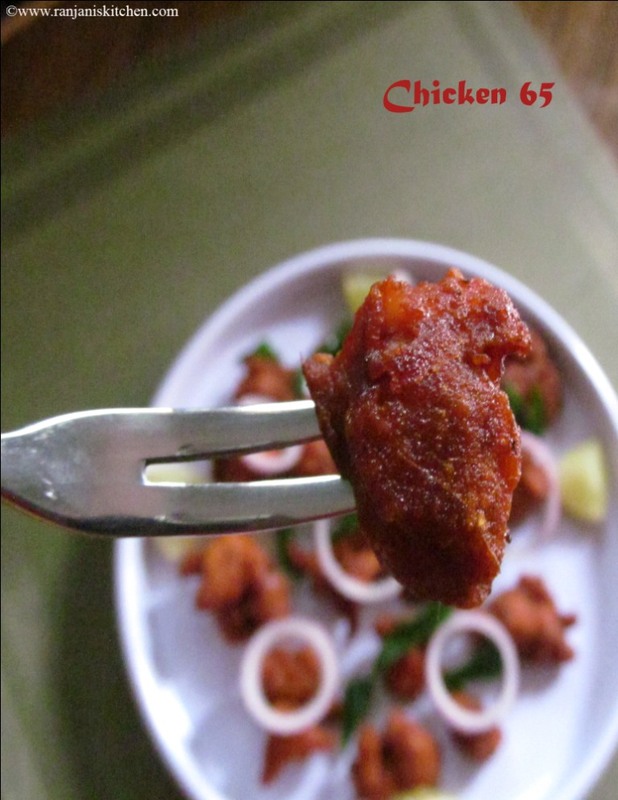 Chicken 65 – Easy making and tastiest starter for me. Hope for many Non vegetarian lovers. Firstly I want to share an interesting news about chicken 65. For many it’s not a fresh news. For me it’s really new one. Yes… I have recently been to Buhari restaurant, Chennai. 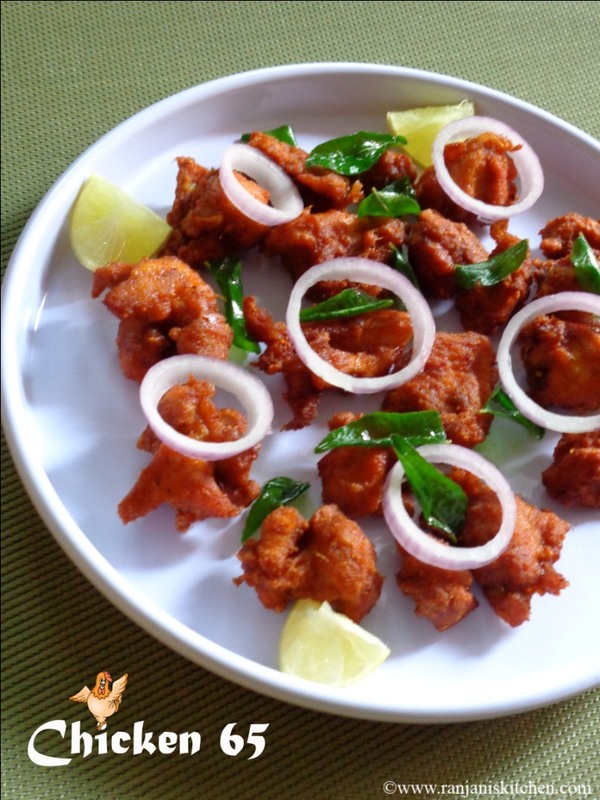 In dining pad they mentioned chicken 65 is originated in Buhari restaurant, Chennai. 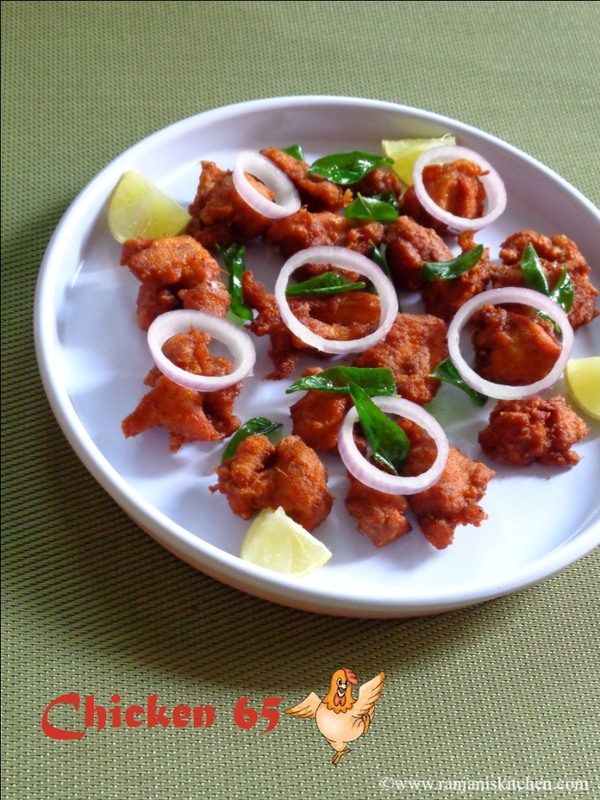 Earlier I thought the origin of chicken 65 might be somewhere like other appetizers .Lets back to my recipe. I referred this in spicy treats and made some improvisations in levels. 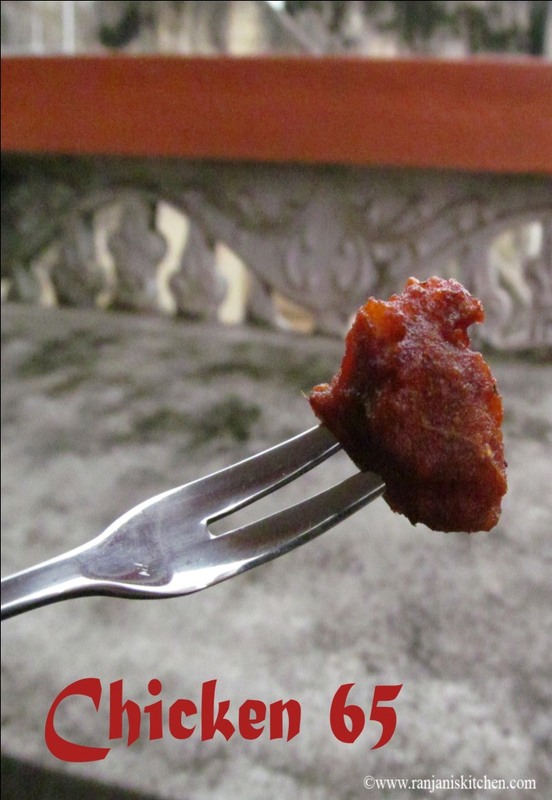 It gave best outcome with juicy and spicy taste. I love to have starters with simple rasam. It will be awesome on boring Sunday to prepare biryani and long list gravies. 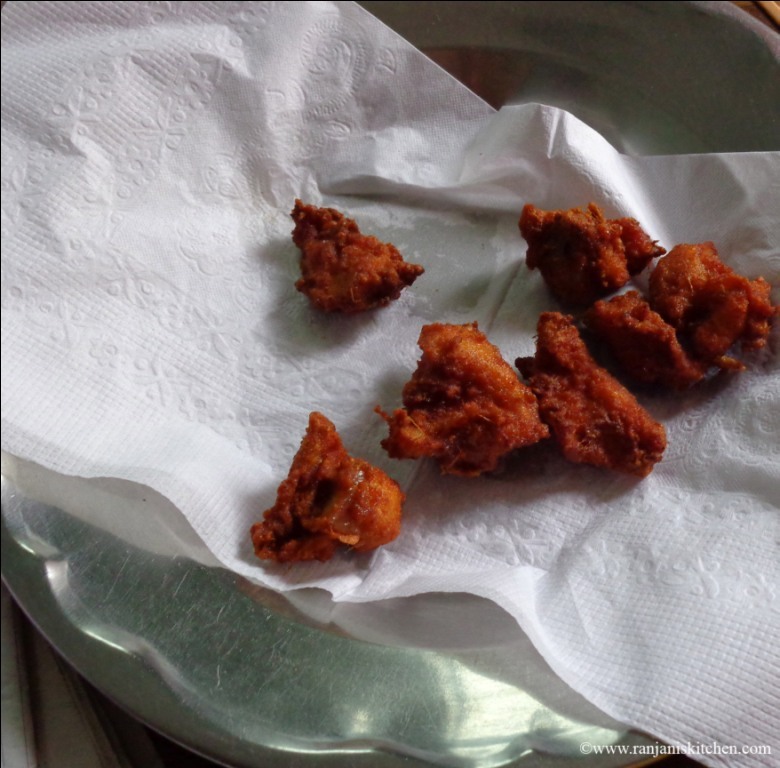 It’s a very simple method just mix the ingredients with chicken and fry. It takes only marination time. But its mandatory to get the perfect mix-up taste. Clean chicken pieces well using turmeric and rinse well for two more times. Make sure you completely drain the water from chicken pieces. Mix all the ingredients given under “to marianate “ in a wide bowl. Add chicken pieces to the paste and mix well. Let it sit for 2 hours or overnight in freezer. Heat a wok, then add oil to fry the chicken pieces. If you refrigerated the chicken, take out before 15 mins and let it to reach room temperature. Check the oil is heated and keep it in medium flame to fry the chicken. Slowly place 3 to 4 pieces of marinated chicken in oil and deep fry them. Drain the oil completely and place it in kitchen towl. Garnish with Onions,cilantro and lemon wedges before serving. We can use both bone and boneless chicken for making 65 with same steps. Addition of color is completely optional. Usually I skip colours while making foods. This time I added for photography purpose. Serve 65’s hot with lemon drizzling. Addition of Soy sauce is optional. I didn’t test it without adding. Hope it will not give major change in taste.